Almost every middle class family oriented Indian owns a two wheeler. Indian roads are no less than full of hazards and motorcycles are mainly prone to accidents. Therefore, a sound motor insurance policy is a mandatory to safeguard your vehicle and yourself against various accidents. Bharti AXA two wheeler insurance is one of the leading insurance providers in the Indian market. Bharti AXA Insurance offers unique fortification and coverage on your motorbike or scooter. To concise the background of the company, Bharti AXA General Insurance Company Limited is basically a joint business enterprise between Bharti Enterprises, a reputed Indian trade group and AXA, a world leader in wealth management and financial protection. Bharti AXA insurance received two international certifications within the first two years of their operations. The two wheeler plans from Bharti AXA Insurance are designed to cover a variety of risks that you could suffer while driving your motorcycle. Bharti AXA two wheeler insurance policies are today one of the most preferred choices for two wheeler owners in India. Now let’s talk about some of the best features and benefits of Bharti AXA two wheeler insurance policy. These policies can be purchased or renewed online. What Are the Benefits of Buying Bharti AXA Two Wheeler Insurance Policy? Bharti AXA two wheeler Insurance mainly focuses on maintaining customer relationships, providing quality services, and simple claims settlement process. Bharti AXA bike Insurance is important since it protects a policyholder against various damages that has been caused to a third party or their vehicle due to an accident. Given below are the some of the best benefits and features of buying two wheeler insurance plans from Bharti AXA General Insurance Company Limited. ✔Bharti AXA two wheeler insurance policy provides quick and transparent claim settlement process. ✔Bharti AXA Insurance has a broad network for settling cashless claims. ✔You can avail instant quotes for renewal or purchase of two wheeler policies online form the company’s portal. ✔The company provides 24/7 customer care support. ✔Bharti AXA General Insurance offers comprehensive two wheeler insurance plan which covers both own damage and third party legal liability – all under the same plan. ✔Bharti AXA two wheeler insurance policy can be easily purchased or renewed online by simply logging into the company’s official website. ✔You can easily transfer upto 50% of your No Claim Bonus (NCB) from any existing motor insurance plan from a different insurer to the two wheeler insurance plan you purchased from Bharti AXA General Insurance Company Limited. ✔Bharti AXA two wheeler insurance offers a facility of SMS alerts regarding claim status that is operated through the company’s 24/7 call centers. ✔There are over 2000+preferred workshops registered under Bharti AXA Insurance all over India. The main purpose of these workshops is to provide hassle-free inspection services and high standards of service to the customers for their insurance plans. ✔Bharti AXA two wheeler insurance provides Personal Accident Cover to the customer in the event of death or permanent total dismemberment due to an accident. ✔Special and effective additional covers are offered in exchange of extra premium. Special discount on premium is also offered in some cases. Below is the list of coverage under Bharti AXA two wheeler Insurance policy in case of an unforeseen event. ✔Damage or loss to the vehicle due to natural calamities such as earthquake, explosion, flood, fire, self-ignition, lightning, hurricane, landslide, typhoon, frost, tempest ,storm, cyclone, inundation, rockslide, hailstorm etc. ✔Various damage or loss to the vehicle due to various man-made calamities such as theft, burglary, strike, riot, malicious acts, terrorist activity, accidents by external means, any damage during transit by road, rail, inland waterway, elevator, lift or air etc. ✔Bharti AXA two wheeler insurance online policy provides Personal Accident Cover to the driver/owner of the two wheeler or bike while driving, mounting or dismounting from the bike or two wheeler. The coverage is Rs. 1/- lakh under this plan. ✔Bharti AXA Insurance for two wheelers takes care of the third party legal liability which comprises of legal defense against injury or death claims from third parties resulting from damages causing a permanent injury or death of a third party person and any damage caused to the property of person including occupants of the vehicle. The compensation against damage to the third party property comes with a minimum limit of Rs. 6000/- whereas the maximum limit is Rs. 7,50,000/-. Bharti AXA two wheeler insurance policy renewal has equal importance to buying Bharti AXA two wheeler insurance online. Bharti AXA bike insurance policy renewal will take a very short time from your busy schedule when you go for online renewal. It’s important that you go for Bharti AXA bike insurance online before it expire to keep the coverage intact on your motorcycle or two wheeler. Below is the step by step process for Bharti AXA two wheeler insurance renewal. ✔First, log into the official website of Bharti AXA insurance to initiate the renewal procedure for your Bharti AXA two wheeler insurance. ✔Click on ‘Two Wheeler’ and then choose ‘Renew Bharti AXA Policy’. ✔Thereafter enter your previous policy number and expiry date for Bharti AXA two wheeler policy renewal online. 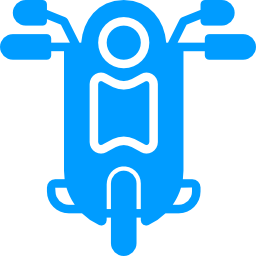 ✔Then you will have to provide some more of your personal details and pay the premium online to finalize your Bajaj Allianz bike insurance renewal online. ✔In the following step, you will have to make payment for the premium to finalize your Bharti AXA bike insurance policy renewal. ✔After the payment has been made, you will be mailed a copy of your renewal confirmation. You can also download and save the details of Bharti AXA two wheeler insurance for future use. ✔You will be dome with the renewal of your Bharti AXA bike insurance plan online. What Are the Exclusions under Bharti AXA Two Wheeler Insurance Plan? Given that the two wheeler insurance plans offered by the Bharti AXA General Insurance Company provide far-reaching coverage, certain damages, however, are excluded from the range of coverage under these plans. Here is a list of exclusions that Bharti AXA two wheeler insurance policies do not cover. ✔Common wear or tear of the bike because of regular usage and general ageing of the two wheeler will not be covered under the Bharti AXA bike Insurance plans. ✔Conditions where the vehicle is being used for a purpose totally different than in accordance with the limitations of the vehicle usage. ✔Bharti AXA two wheeler policy will not cover any damage caused by the person’s driving the vehicle under the influence intoxicating substances like drugs or alcohol. ✔Any electrical or mechanical breakdown of the vehicle is not covered Bharti AXA bike Insurance plans. ✔Any consequential loss depreciation is not covered. ✔Any loss or damage resulting from an accident while driving the vehicle without a valid license. ✔Any damage or loss caused to the vehicle due to mutiny, war, nuclear risk etc will not be covered under the plan. ✔Bharti AXA two wheeler Insurance policies will not cover any wear and tear of consumables such as tyres and tubes unless the vehicle is damaged at the same time. 1. Which is the best two wheeler insurance in India? Best two wheeler insurance is characterized by the type of coverage a two wheeler insurance company is offering. Some of the best two wheeler insurance companies that offer the best two wheeler insurances in India are; ICICI Lombard Two Wheeler Insurance, HDFC Ergo Two Wheeler Insurance, Bajaj Allianz Two Wheeler Insurance, Tata AIG Two Wheeler Insurance, Reliance Two Wheeler Insurance etc. 2. What is own damage premium? The own damage premium for your two wheeler insurance policy is the premium that is fixed as per the Insured Declared Value or IDV of your bike. 3. What is NCB for bike insurance? In bike insurance, NCB stands for No Claim Bonus which is offered as a reward to the bike insurance policyholders by two wheeler insurance companies for not making a claim in the preceding years. 4. What is NCB value in two wheeler insurance? NCB or No Claim Bonus is a discount given by the two wheeler insurance companies to the bike insurance policyholders for making no claims during a policy term. NCB value in two wheeler insurance is the percentage of discount that ranges from 20% to 50% on your own damage premium of your bike. NCB can be amassed over years. 5. What is OD claim? OD claim stands for own damage claim of your two wheeler insurance. Own damage claim is raised in order to get covered against loss or damage of your bike due to accident, theft etc. Greenlife Insurance Broking Pvt. Ltd.